HUNTSVILLE, Ala.--(October 10, 2018)—ADTRAN®, Inc., (NASDAQ:ADTN), the leading provider of next-generation open networking solutions, has expanded its market-leading Software-Defined Access (SD-Access) portfolio with 2nd generation Gfast products, allowing for the transparent extension of FTTH service capabilities. 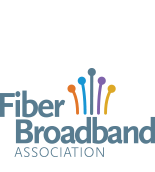 Delivering the industry’s first commercially available gigabit-capable Gfast solution shatters the market’s economic barriers to delivering the immersive applications and bandwidth-driven services customers need to fully participate in a global hyper-connected marketplace. ADTRAN, Inc. is the leading global provider of networking and communications equipment. ADTRAN’s products enable voice, data, video and internet communications across a variety of network infrastructures. ADTRAN solutions are currently in use by service providers, private enterprises, government organizations and millions of individual users worldwide. For more information, please visit us at ADTRAN, LinkedIn and Twitter.